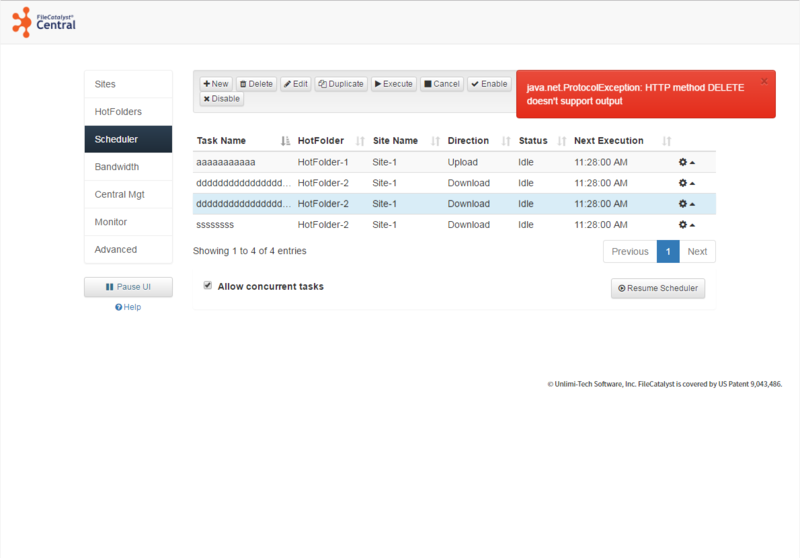 When you use Java 7 to run the FileCatalyst HotFolder, it can not delete a task from the HotFolder Web Admin UI. This issue was observed when using the FileCatalyst HotFolder Web Admin through FileCatalyst Central or connecting directly to the FileCatalyst HotFolder deployment. This issue is only present in Java 7 RE and Java 7 DK. FileCatalyst HotFolder v3.7.1 and newer.